You know this thing about Supernoobs Games? Here we are again with a new category of games names Supernoobs games, where you will meet the characters from the series with the same name, an animated American/Canadian animated series produced by DHX Media for Teletoon. In Supernoobs Games you can find 12 games that we've published for these kids and childrens that are interested to play Supernoobs Games, this game gategory have been created on 21.12.2015. These games with Supernoobs Games have been voted 1 times and the avarage of vote is 5.00 stars. We advice you to play the last flash game from Supernoobs Games, Supernoobs Battleball Bout that have been published on 14.01.2017 14:07. Supernoobs Battleball Bout its a part of Supernoobs Games category and until now its played 977 times. Try it now on Cute-Games.com! 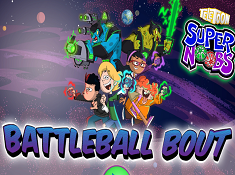 If your like the Supernoobs Battleball Bout game you can write a comment in the game page. Recommend this game to your friends if you like it! Supernoobs Tetris its a part of Winx Games category and until now its played 844 times. Try it now on Cute-Games.com! If your like the Supernoobs Tetris game you can write a comment in the game page. Recommend this game to your friends if you like it! 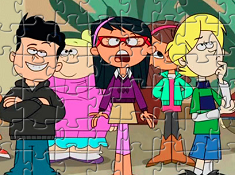 Supernoobs Jigsaw Puzzle its a part of Supernoobs Games category and until now its played 908 times. Try it now on Cute-Games.com! 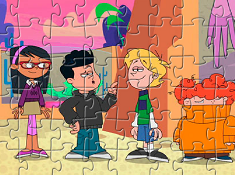 If your like the Supernoobs Jigsaw Puzzle game you can write a comment in the game page. Recommend this game to your friends if you like it! Supernoobs Jigsaw its a part of Supernoobs Games category and until now its played 857 times. Try it now on Cute-Games.com! 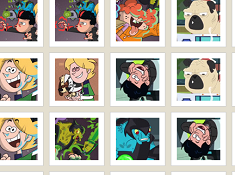 If your like the Supernoobs Jigsaw game you can write a comment in the game page. Recommend this game to your friends if you like it! Supernoobs Memory Cards its a part of Supernoobs Games category and until now its played 629 times. Try it now on Cute-Games.com! If your like the Supernoobs Memory Cards game you can write a comment in the game page. Recommend this game to your friends if you like it! Supernoobs Memory Match its a part of Supernoobs Games category and until now its played 886 times. Try it now on Cute-Games.com! 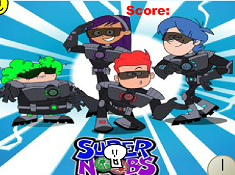 If your like the Supernoobs Memory Match game you can write a comment in the game page. Recommend this game to your friends if you like it! 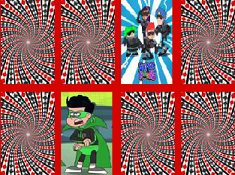 Supernoobs Characters Puzzle its a part of Supernoobs Games category and until now its played 890 times. Try it now on Cute-Games.com! If your like the Supernoobs Characters Puzzle game you can write a comment in the game page. Recommend this game to your friends if you like it! Supernoobs Avoider its a part of Supernoobs Games category and until now its played 1084 times. Try it now on Cute-Games.com! If your like the Supernoobs Avoider game you can write a comment in the game page. Recommend this game to your friends if you like it! Supernoobs Puzzle 2 its a part of Supernoobs Games category and until now its played 876 times. Try it now on Cute-Games.com! If your like the Supernoobs Puzzle 2 game you can write a comment in the game page. Recommend this game to your friends if you like it! Supernoobs Memory its a part of Supernoobs Games category and until now its played 958 times. Try it now on Cute-Games.com! 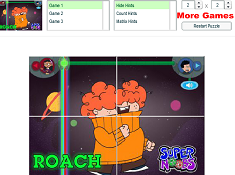 If your like the Supernoobs Memory game you can write a comment in the game page. Recommend this game to your friends if you like it! Supernoobs Coloring its a part of Supernoobs Games category and until now its played 1544 times. Try it now on Cute-Games.com! If your like the Supernoobs Coloring game you can write a comment in the game page. Recommend this game to your friends if you like it! Supernoobs Puzzle its a part of Supernoobs Games category and until now its played 1107 times. Try it now on Cute-Games.com! If your like the Supernoobs Puzzle game you can write a comment in the game page. Recommend this game to your friends if you like it! Find More About Supernoobs Games! The story is about four kids which are going to the school like all the normal kids but in the same time they are fighting with villains like assassins and aliens which want to destroy the Earth. 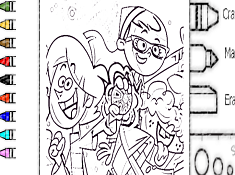 The story happens in a town named Cornbury where the four kids named Supernoobs are heroes and nobody know that even if when they are not fighting they uses their powers for stupid things and every time they made a disaster. The four kids are Tyler Bowman, the group`s leader which has the power from the blue battle ball and he can teleport are develop some senses like reading minds. Kevin Reynolds is the second warrior, he has the red battle ball which let him transform into various forms are persons, he is the most irresponsible because he use the red battle ball for amusement and he also ends in troubles. Jennifer Shope is the female presence, she thinks that she is the smart one and she has the power from purple battle ball which allows her to use natural forces like water and electricity. Theodore Roachmont or The Roach is the shortest member with red unruly hair where you can find various objects, he has the power of the green battle ball which grants him the power of flight and super strength through enlarging his fists. Other characters from the story are Jock Jockerson, a classmate of the four kids which is an athletic and he often speaks about him to the third person fact that makes him being rude sometimes. Principal is the administrator of the school who is suspicious about the Noobs activities and Amy Anderson is another classmate of Noobs on which Tyler has a crush on. Mr. and Mrs. Shope are Jennifer`s parents which don`t like her friendship with the Noobs because they think that the boys have a negative influence of their daughter and other character is Sue Newswoman who covers stories of Noobs adventures. Along with them here we have the aliens like Zenblock, Memnock, XR4Ti, General Blorgon and Rovu, four aliens which are part of the Benevolent Alliance and intergalactic organization. Also, we have the villains like Virus which is the most evil characters from all, he was created by unknown aliens and his purpose is to infect all the planets, reason for why the Supernoobs and Benevolent Alliance are always fighting with him. 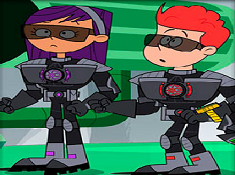 Other villain is Count Venamus, a criminal who is helping Virus and Supernoobs along with Benevolent Alliance are trying to capture him hoping that they will find some information about the creators. The Creators of Virus are anonymous, the only think that the Noobs knows about them is that they create Virus and all this war in which all the planets has to be infected. As you can see this is an interesting story where you will see amazing adventures and now on cute-games.com you`ll have the chance to go through all these adventures. Our Supernoobs games are waiting for you to play and to meet fantastic worlds and creatures along with which you will have to fight to protect the Earth. These games are for everyone even if you are a boy, a girl or a kid so, we hope that many of you will try these new games and also we hope that you will enjoy a lot our new challenges. If you dream being a warrior, fighting with villains and meet aliens or other creatures from the universe now you have the opportunity to do this and maybe you will become another superhero. Cute-games.com prepares for you more challenges, adventures and surprises but you will have to stay tuned to be able to see them and until then, if you want other Supernoobs games that we haven`t published, you can tell us what game do you want and we will publish it for you.